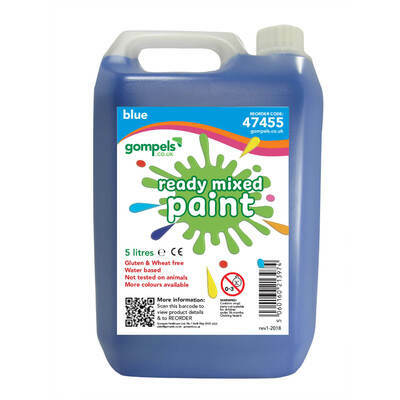 Is this paint ok for Nursery age children? 1/5 years old. Bottle cap is a small part, not suitable for children under 36 months. 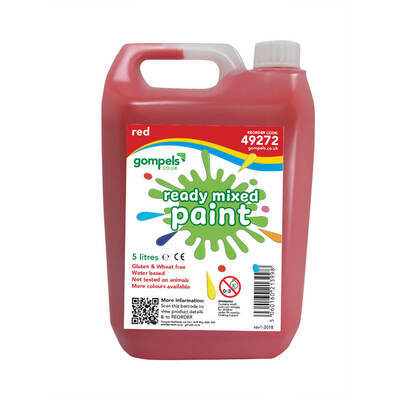 A great option for replenishment or busy school environments, our Ready Mix Paint 5 ltr packs come in durable plastic containers for secure storage. 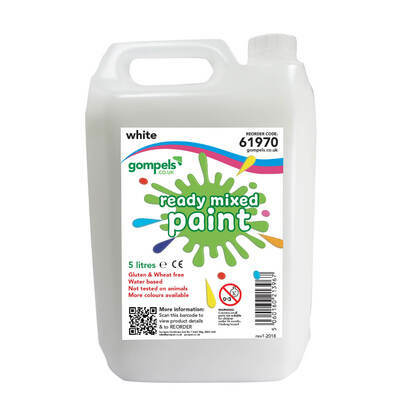 Suitable for use by young children, these water based paints promise to wipe clean from skin and wash out of more fabrics. Ready mixed to a bright and bold colour, they have a thicker texture while allows more economical use at each session while the wheat and gluten free formula makes them ideal for anyone dealing with allergies or irritations. 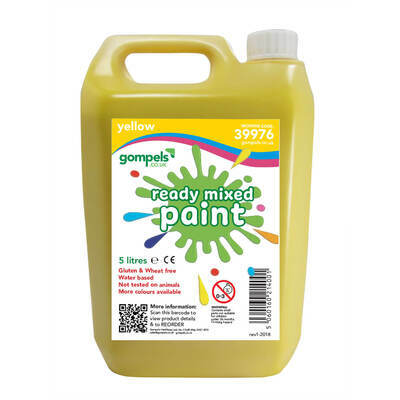 Decant into smaller pallets or tubs and allow each member of your class to express their true imagination with these versatile paints that can also be mixed to create an even wider range of colours. Each pack of ready mix paint has a large and comfortable handle for transportation and an exceptional 5 litre capacity for month of happy crafting. Paints can stain, please wear protective clothing. We recommend that any stains are soaked in cold water overnight and then washed in the machine as normal. A stain treatment product can also be used. If clothes are put straight into the machine, the hot water can fix the pigments into the fibres. 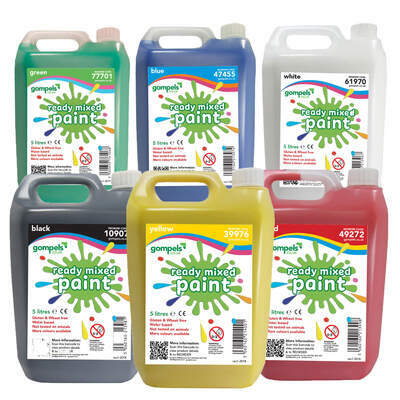 Our Paints and Inks collection has everything you'll need to ensure the most engaging arts sessions. 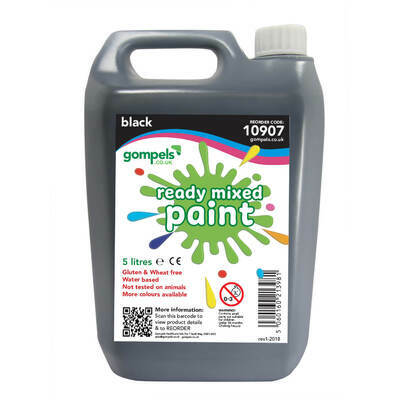 From our Gompels Ready Mixed Fluorescent Paint through to 12 Block Water Colour Sets and Chunky Markers, you'll find all the items you need at exceptional wholesale prices.